Is Your Family Sick of Being Sick? If you have children (or are pregnant! ), chances are you have noticed that you are getting sick more often! Are you sick of getting sick? Who isn’t, right? Unfortunately, cold and flu a part of life! You can’t avoid illness altogether, but you can support your immune system to do its job better. In the last couple of weeks, as the weather changes and the days get shorter, I’m hearing from lots of patients looking for help boosting immunity against cold and flu. Check out my own case of wart elimination! Do you dread cold and flu season? 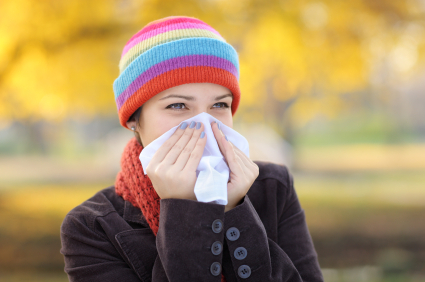 Do you suffer from infections like sinusitis, bronchitis, and pneumonia? Do you end up taking antibiotics every year? This year, be proactive about preventing illness three ways! Today’s guest post is from Erica Cowan, ND all about mucus! Do you wake up congested? Are you making your home more toxic? One of my favourite immune supporting tips is using berries to prevent colds and flu! Not only do they taste great, but they are also effective in strengthening immunity during the winter season.